Last week there were many reports that Twitter had been hacked and that a user database of 32 million, was listed on the dark web. Twitter claims that this is not the case. 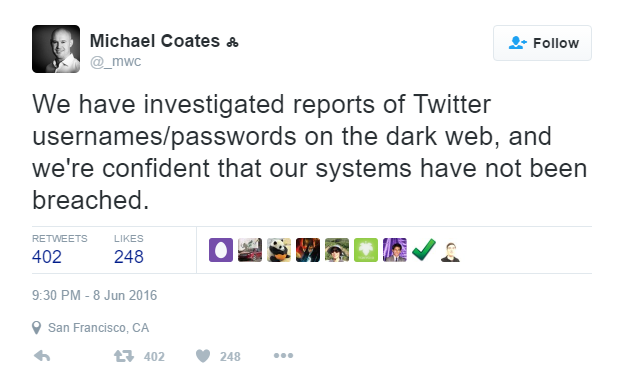 Twitter’s Information Security Officer, Michael Coates, posted a response to this potential hack on their site, and took to the microblogging site. What is suspected to be the cause, is users recycling passwords. In the week of “mega breaches”, hundreds of millions social media accounts had their credentials posted to the dark web. 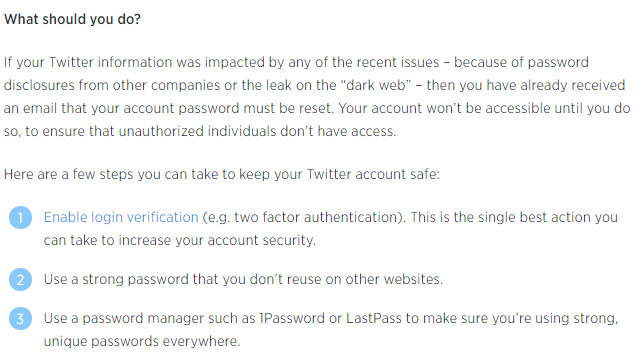 It’s likely that hackers were able to get into certain Twitter accounts via reused passwords that have been linked from other platform breaches. All they have to do is find repeating email addresses, and use the passwords provided on the dark web, and more often than not – they will be able to get into multiple accounts.